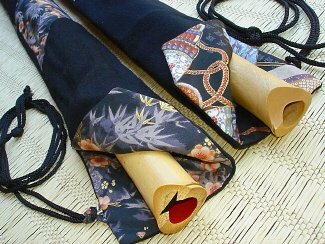 This attractive and high quality wool carrying bag is made specifically for protecting bamboo shakuhachi. 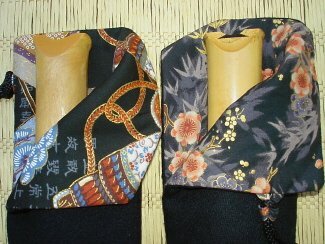 However, because of its quality and exquisite design, we offer it for the Shakuhachi Yuu as well. 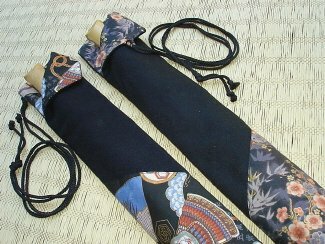 Weather changes obviously do not affect the Shakuhachi Yuu, however, to protect a bamboo shakuhachi, this carrying bag is made from high quality wool material, with additional inner padding to protect your flute, and with a polypropolene vapor barrier sewn inside. This stabilizes the moisture content of the bamboo to prevent damage. The vapor lock barrier is sewn inside the material and is not visible. 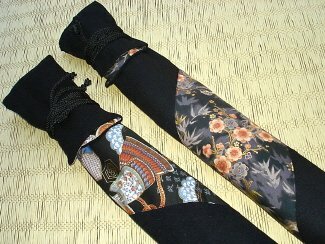 This carrying bag is designed mainly for 1.8 or 1.9 size shakuhachi. However, you may also use this vapor lock bag for other flutes in your collection, such as Native American or Bansuri flutes. 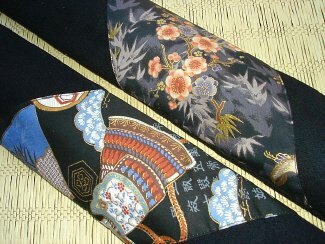 * Please note: The decorative patterns shown on these Shakuhachi Carrying Bags change quite often and without notice! The bags will always have an elegant Japanese design on them, yet the pattern design on the bag you receive may not be shown here.